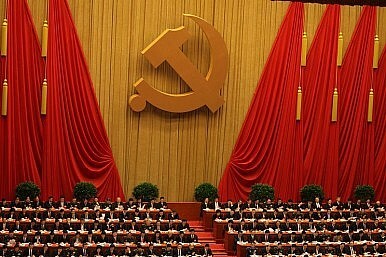 Can the CCP Morph From a Black Box to an Open Book? A piece in Xinhua argues that the CCP should be more open. But are there any actual rules for it to reveal? The day after Xinhua announced that the Chinese Communist Party (CCP) was changing its recruitment policies, Xinhua’s website ran an interesting article on “Emerging trends in Chinese studies and the role of the party.” The piece, by Eric X. Li, touched on the different ways Western scholars approach China studies before ending with a plea for the CCP to reveal its inner workings to the world. “One cannot produce a credible and full picture of contemporary political governance without considering the Chinese case … Further, one cannot unlock the secret behind the Chinese phenomenon without studying the party … Will the party step forward and offer the world a chance to learn?” Li writes. Li is optimistic that, should the CCP open up to the world, it will “contribute to the entire world’s understanding of political governance.” Li has long been an unabashed fan of China’s system of governance. He’s probably most famous in the West for his 2012 New York Times op-ed “Why China’s Political Model Is Superior” as well as his 2013 TED talk arguing that China’s authoritarian model has many advantages over Western-style democracy. Because of his unabashed enthusiasm for the CCP, some have dismissed Li as a CCP propaganda tool. In fact, no one is really sure that such “systems” and “processes” exist. Of course the Party does these things — it selects new leaders, creates policy, and evaluates existing policies. But is there really a system in place for doing so? Or is the CCP, especially at the top level, simply a battleground among different factions, where personal influence determines the outcome? Was Xi Jinping, for example, selected as the CCP’s top leader through an institutionalized process (albeit one that has never been revealed), or did he simply emerge as the victor in a bruising political battle? Li’s article provides an interesting angle for looking at recent CCP reforms, including the new recruitment rules. Perhaps the Party truly does want to become more transparent, giving the outside world a better understanding of its inner workings — but it doesn’t have any codified “inner workings” to reveal. The simple fact that formal rules and policies are being laid out (in some cases for the first time) suggests that previous regulations were insufficient (or nonexistent). By trying to bring the “rule of law” to the Party, Xi and other leaders may be attempting to force the CCP to function as a professional organization with clearly defined rule and regulations. Only after this is achieved can the Party then show these rules to the outside world. In many cases, no one is even sure when and where decisions are made, much less how. Was the membership of China’s Politburo Standing Committee determined at a secret gathering of CCP leaders at Beidaihe before the 2012 National Party Congress? Most analysts of China’s domestic politics would say yes, but you’d never know it by looking at official media. As with all cases on the CCP’s inner workings, you can only guess what’s happening through indirect signs: who was at Beidaihe, whether security was stricter than normal, what keyword searches were suddenly forbidden on the internet. As a result, trying to understand the CCP is almost always a case of educated guesswork. In The Party, Richard McGregor’s detailed attempt at reading the tea leaves, an anonymous professor sums up the situation with a memorable quote: “The party is like God. He is everywhere. You just can’t see him.” Another famous analogy holds that trying to understand the CCP is like to trying to determine the plot of a play when all you can see and hear are the reactions of the audience. You see the effect (the new policy or the new leader) but are forever left guessing about the cause. Li understands how big of a problem this is for China. In the absence of information, guesses about the interior of the CCP “black box” can run wild, which is not conducive for China’s international image. Li’s mistake is in assuming that this is merely a problem of communication rather than indicative of a deeper need for structure and institutionalization within the Party itself. You can’t show a rulebook to the world if none exists. Recent reforms indicate that the CCP might indeed be trying to write such a rulebook, but for now the world is left guessing.